Tutorial for Mini Quilt Stands – Cheryl Sleboda – Textiles. Technology. Texture. Teacher. 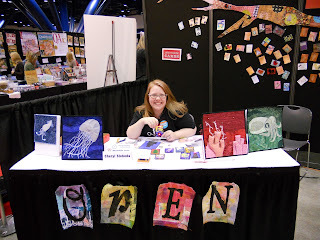 If you have small quilts like I do and want to display them, but don’t want to hang them, or perhaps you want to display them on your craft fair table, you need to make one of these! 1. Start with a store bought angled display stand. I got mine from Office Max. 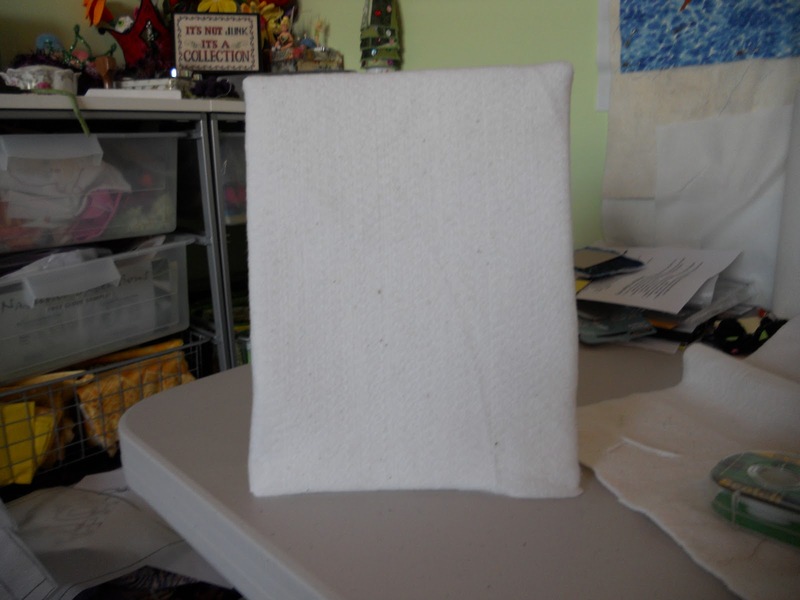 Lay it face down on some batting that is folded so you have a double layer. 2. Draw around the holder on 3 sides. Leave the bottom open. If you use a marker, wait for the marker to dry on the batting before continuing to the next step. 3. 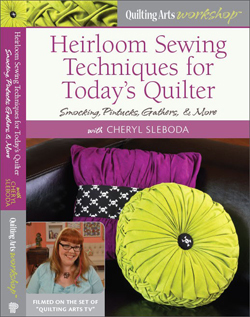 Sew just to the outside edge of your drawn line. Then you can cut the excess batting away to about 1/4 to 1/8 of an inch from the sewing line. 4. Turn and gently (GENTLY!) push the corners out on your batting “sleeve”. Trim the bottom so it’s even with the bottom of your stand. 5. Fit the sleeve over your stand. 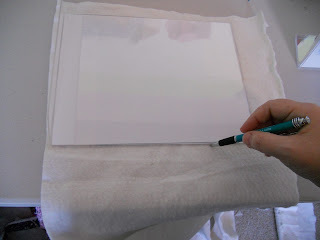 Check the length of the bottom of your sleeve, and if it’s too long, cut the excess away. Fit it over your stand and secure with a piece of clear tape. Voila! The “grippiness” of the batting should hold your item in place, and if you have a heavy item, you can pin it to the batting surface to keep it in place. 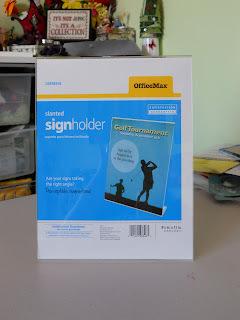 You can make this with any size slanted sign holder. Enjoy!